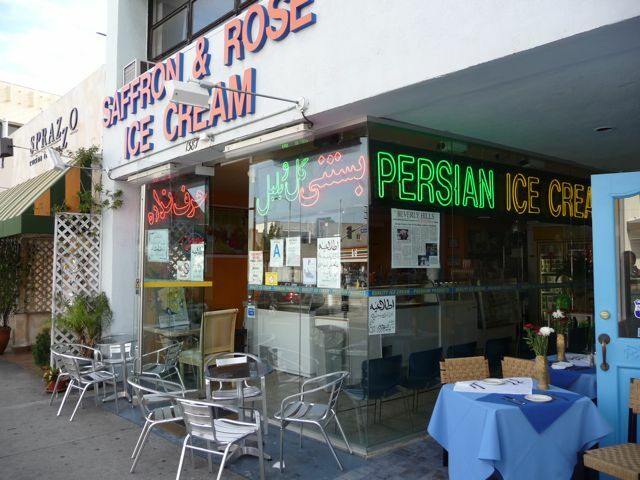 The Persian community in the L.A. area originally centered in the Westwood neighborhood of west Los Angeles, particularly Westwood Boulevard between Pico Boulevard and the UCLA campus, often referred to as Little Persia or Persian Hills/Persian Square. It is between Beverly Hills and West Los Angeles. Immigration to the area increased several-fold due to the events surrounding the 1979 Iranian Revolution. Westwood Boulevard became known for its many Persian shops and restaurants; and the Persian expatriate community of Los Angeles entered all forms of media including magazines, newspapers, radio and television stations. As the population grew, many Iranians have moved all over Los Angeles, with other large neighborhoods forming in the Los Angeles neighborhoods of Woodland Hills and Encino in the San Fernando Valley and Beverly Hills, California ; the city of Irvine as well throughout Orange County and Persians also made their homes in San Diego and the Palm Springs area (Coachella Valley). The Persian population of Beverly Hills may be as high as 40% of the total population. The vice mayor of Beverly Hills, Jim Delshad, is Iranian-born. In the 1994 action-comedy film Beverly Hills Cop III, an automated gate at the Beverly Hills Police Department offers a selection of languages that include Persian. The 2005 Oscar Best Picture winner, Crash, dealt with racism, stereotyping, hypocrisy, and crime in the L.A. area and among the central characters, all of whom are of different races, one is a Persian, stereotyped as one who doesn’t trust others. Also, the film points out how the terms Arab and Persian are often used interchangeably, albeit incorrectly, by others in society (“They think we’re Arab. When did Persian become Arab?”). The film contains some dialog in Persian. In the new 90210, there is a main character named Navid Shirazi, who plays a Persian character.